#LanguageHacking is a state of mind. It's about ditching excuses, using shortcuts and taking risks. It's about learning what's indispensable, skipping what's not - and most importantly speaking from day one! 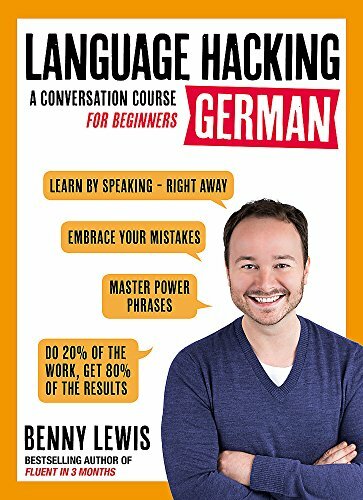 Unlike traditional language courses that are organized by level of difficulty, #LanguageHacking German focuses on the language and conversations you need to master so you can start speaking immediately, not after years of study. Free access to the #LanguageHacking community, custom created by italki, a ground-breaking website that makes it possible to learn a new language without going abroad. By Brand: Salina Bookshelf, Inc.